It’s evergreen wreath season! Obviously, I love cut flowers, but I REALLY enjoy the slower pace of wreath-making. It’s a nice wind-down after the whirlwind of growing season. 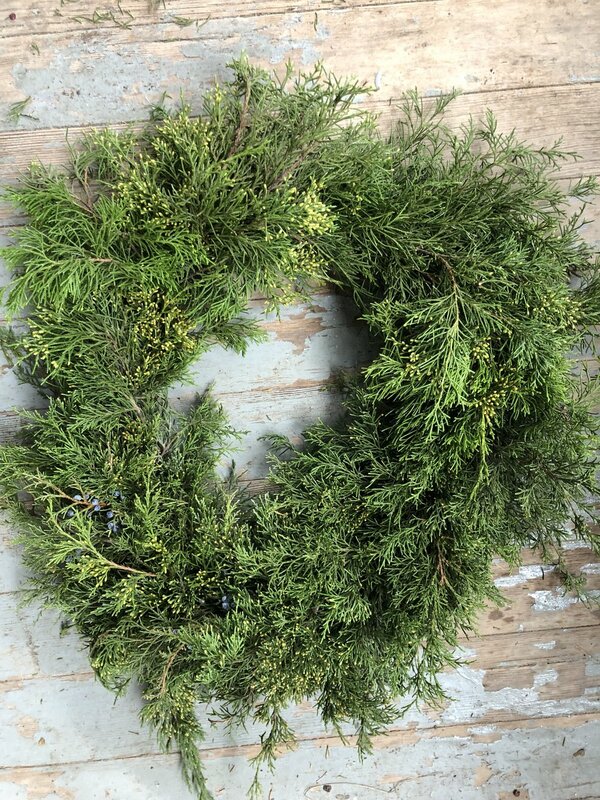 Making your own evergreen wreath is easy, as long as you can happen upon the ingredients. You can go to a craft supply store and buy a wire wreath form or a grape vine wreath and wire, but I prefer to forage for almost all of the ingredients. IMPORTANT NOTE: If you are foraging your vines, DO YOUR RESEARCH! 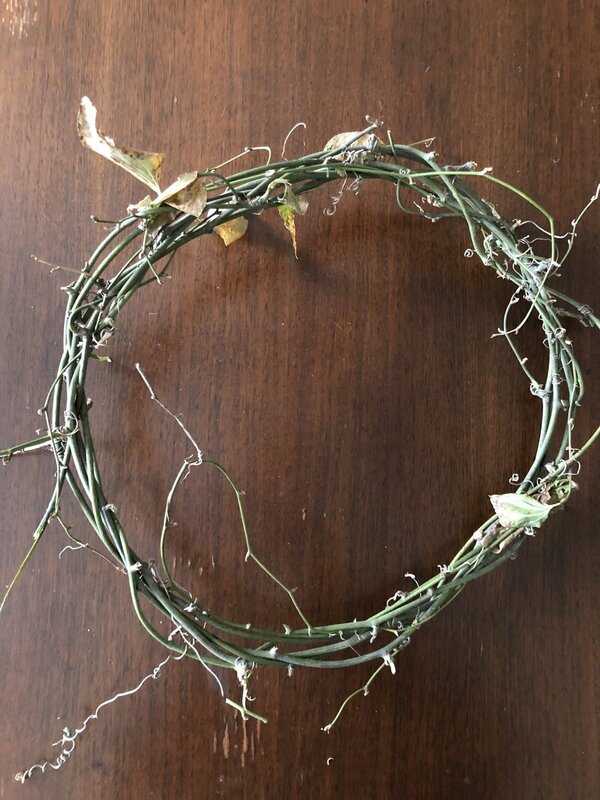 It would be upsetting to forage a bunch of lovely vines only to discover you made a poison ivy wreath. Tame the vines you’ve collected so they are all laying together nicely. Decide what size wreath you want and form your wreath. Ideally, you will make a circle with them and be able to hook one end of the vine under another part of the vine, so it holds its form. Weave the vines around the wreath so it will hold and have a little girth. Because it is just a base to hold your evergreens, it does not need to be that thick, just enough to hold its structure. Once your wreath base is made, tie one end of twine around part of the wreath. This is where you will start to lay your evergreens. 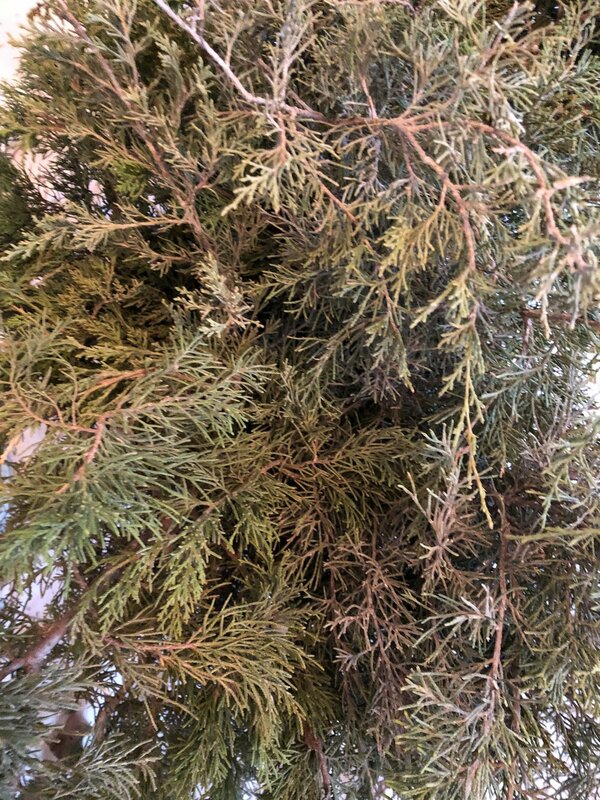 At this point, I like to use my pruners to cut a bunch of pieces of evergreen to whatever size I want for the wreath. Take several pieces of evergreen and lay them on the wreath where you tied the twine. Wrap the twine over the evergreen pieces and back under the wreath and pull it tight. (You can tie a knot, if you want to, but I usually just hold it tight while I get the next bunch ready). Continue this process until your wreath is covered with evergreen. Did I forget something? I’d love to hear from you!